Put this FREE EVENT on your calendar and help us spread the word! 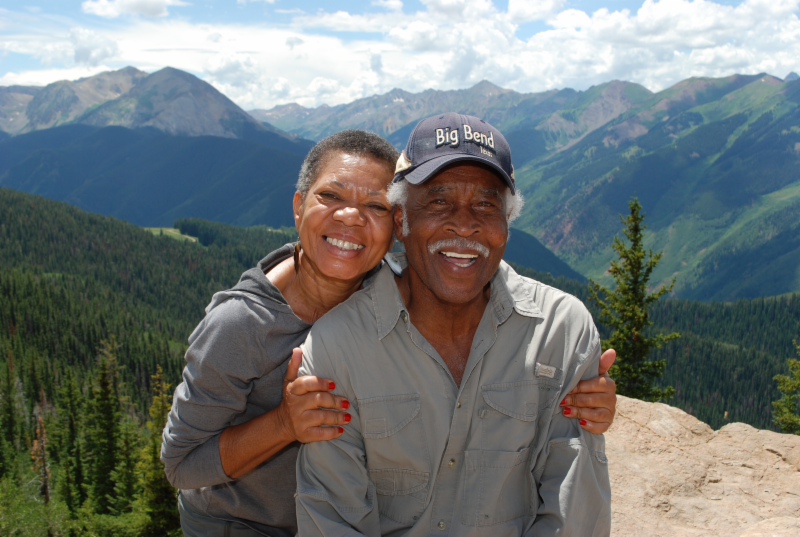 It’s time to celebrate this important legislation and the trails and communities that are its legacy! Check out a glimpse of Jennifer Pharr Davis’s “Pursuit of Endurance.” We look forward to having her as one of our guest speakers at the National Trails Festival! Our work parties for this maintenance season are now posted on the FTA website. 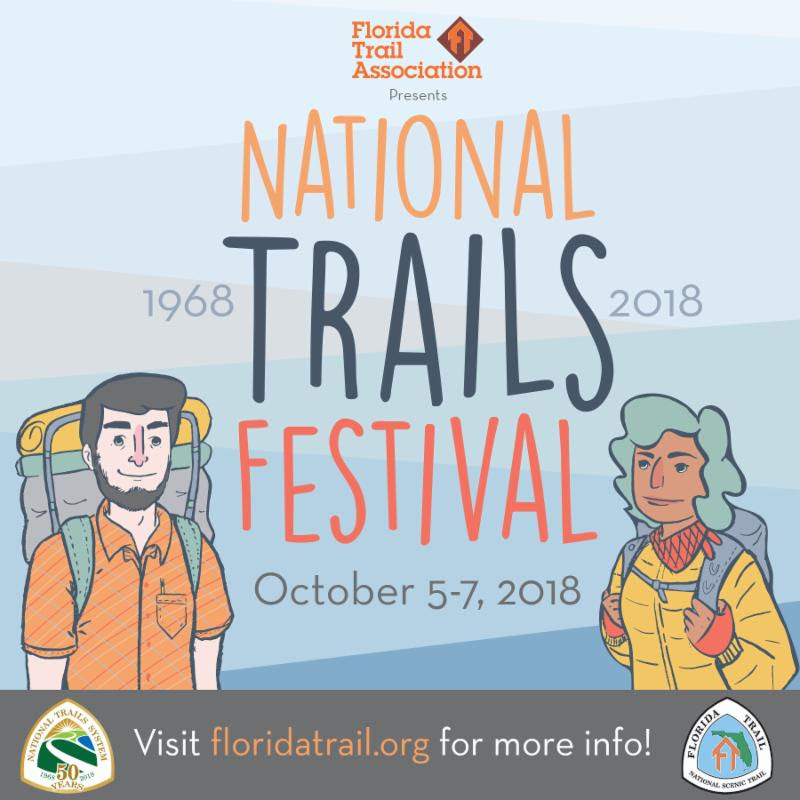 Check them out and register to volunteer on the trail! 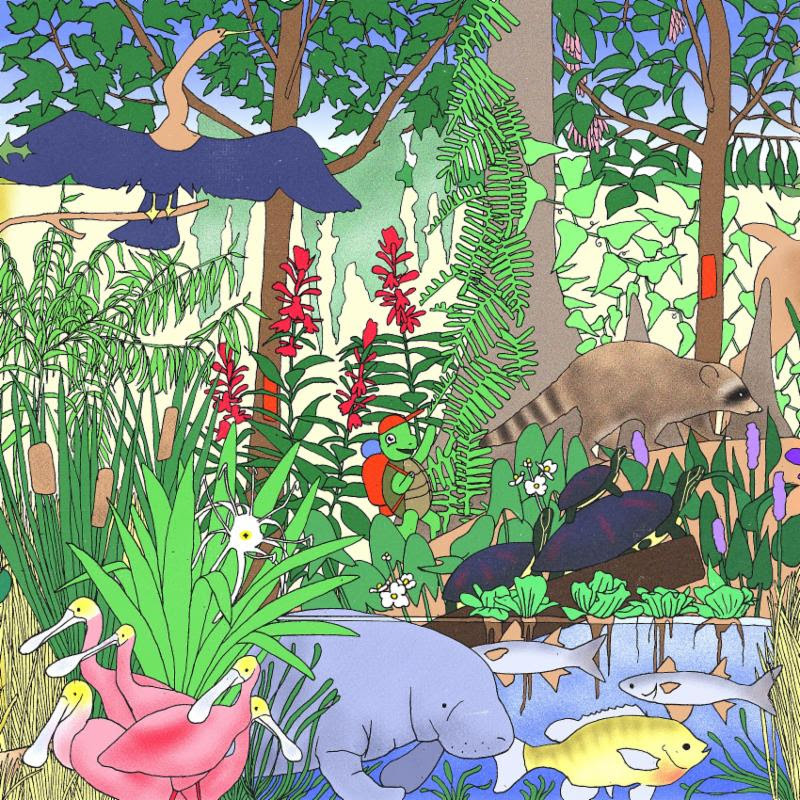 This year, UF Graduate & Biological Illustrator, Emma Roulette (emmaroulette.tumblr.com), designed the front of our project cards for advertising the Fall 2018 – Spring 2019 Staff-Supported Volunteer Work Parties (see info & image above). 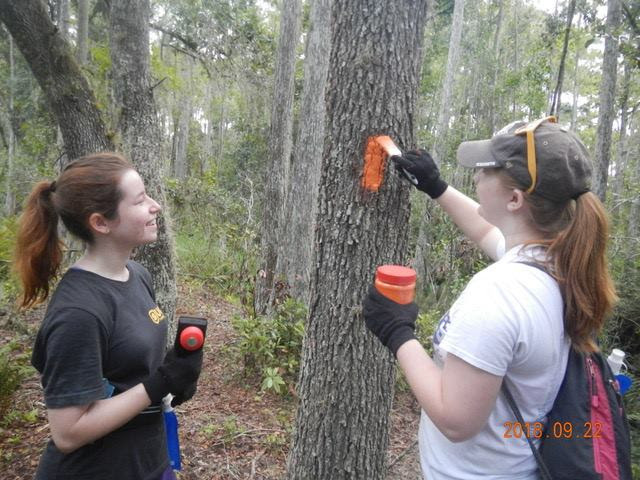 Together, Emma and I compiled comprehensive species lists for five iconic ecosystems of the Florida Trail. 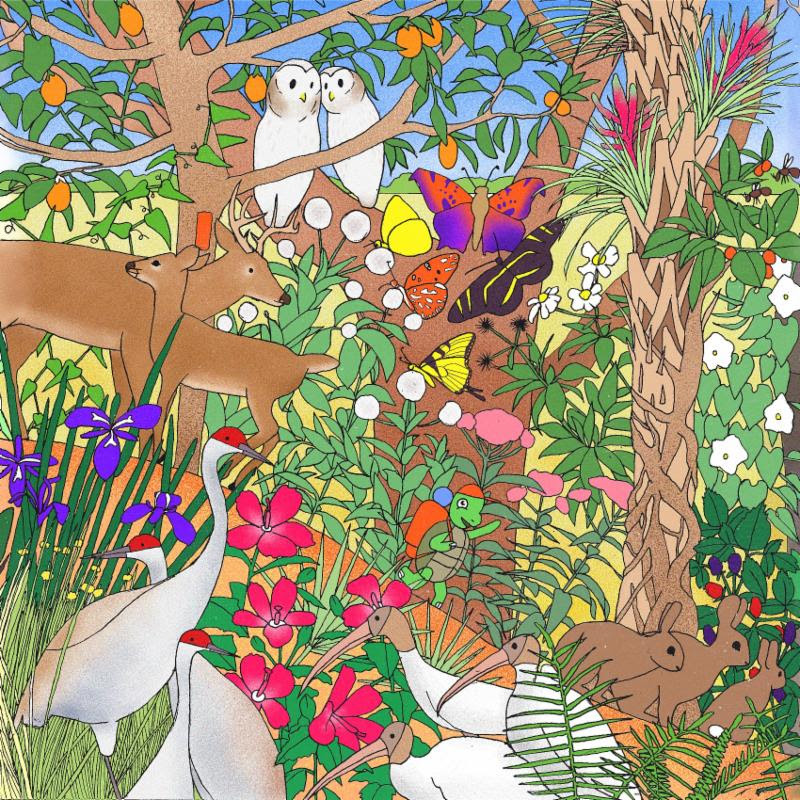 A major thanks to Emma and her talented work and enthusiasm in creating these gorgeous landscape depictions of the Florida Trail. 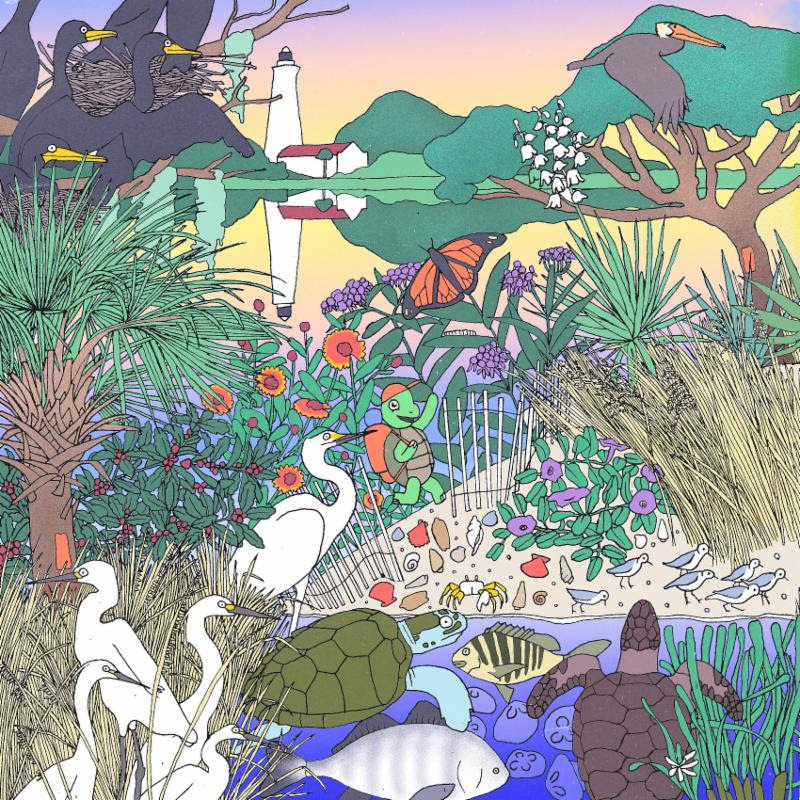 Can you see our trusty Junior Explorers mascot, Speedy the Gopher Tortoise, hiking in each of them? 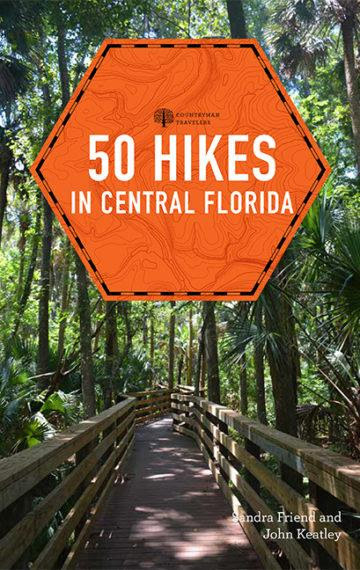 © Copyright Florida Trail Association. All rights reserved. We’re excited to share these project cards with our current and future FTA volunteers.We’ll have these as well as B&W coloring sheets of these landscapes available as giveaways at the National Trails Festival and future FTA tabling events! 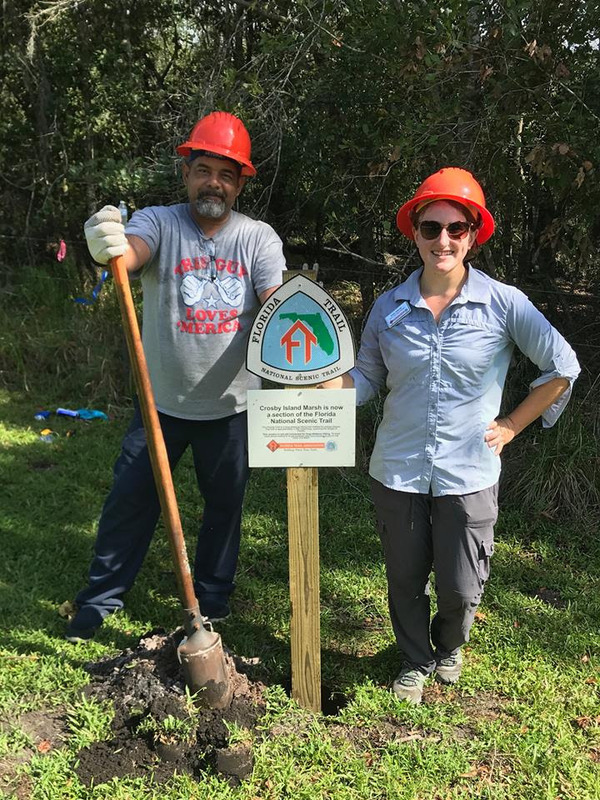 On Saturday, September 22nd, the Florida Trail Association celebrated National Public Lands Day by hosting two Volunteer Work Parties that added new sections of the Florida Trail on Orange County public lands. 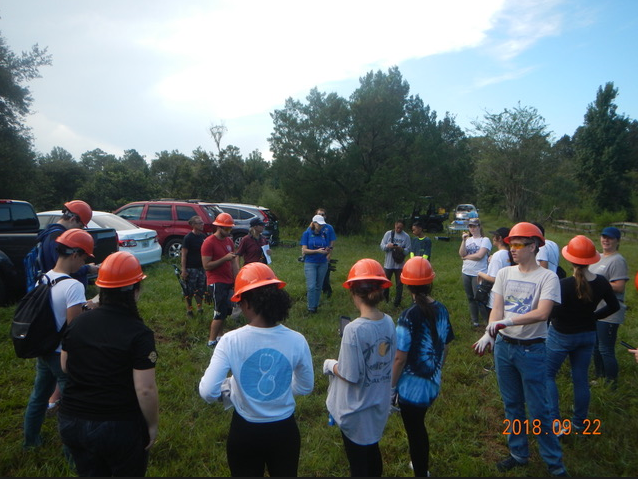 Volunteers from the FTA, University of Central Florida, Jet Blue and others joined us for a day of corridor clearing and blazing in Pine Lily Preserve and Crosby Island Marsh Preserve. 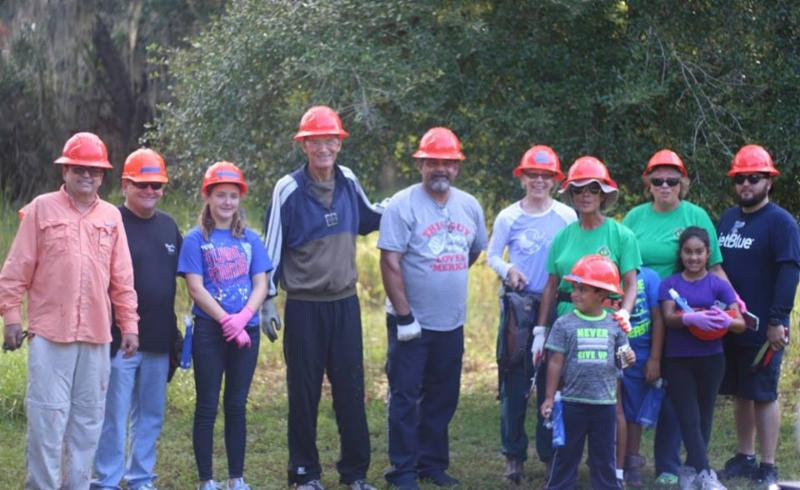 Thank you to Bill Alexander, Rachael Augspurg and Bill Turman of the Indian River and Central Florida chapters for your continued support in getting new faces on the Florida Trail, and closing the Central Florida Gap– our longest section of roadwalk! 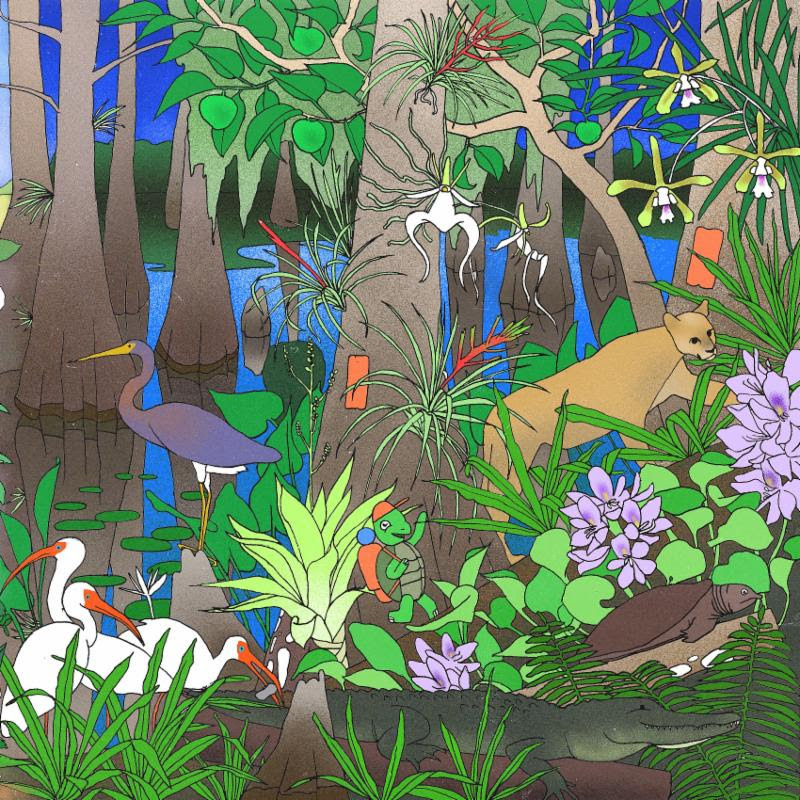 The Suwannee River is a recreation paradise, with trails galore for all modes of transport. 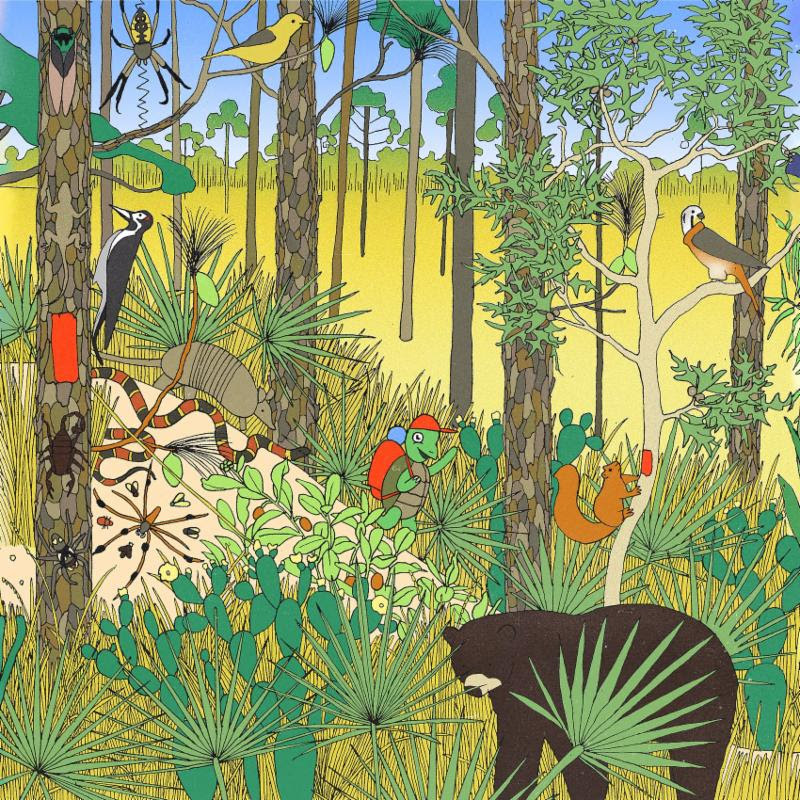 Of course, the Suwannee is host to over fifty miles of the Florida Trail, arguably one of the most scenic sections in the state. 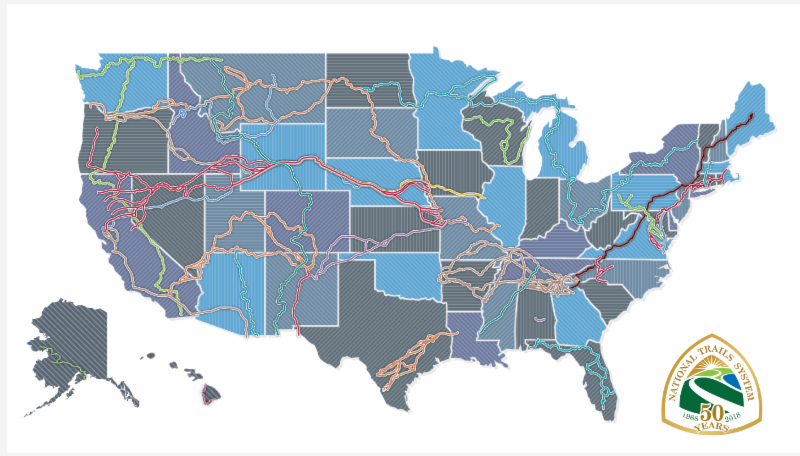 There is a plethora of bike trails as well. 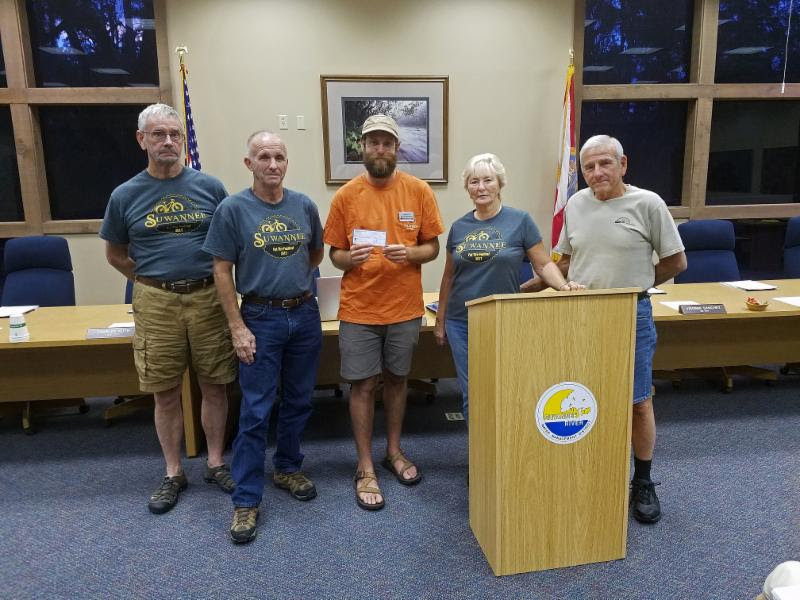 The Suwannee Bicycle Association has been active in the promotion, creation, and maintenance of many miles of mountain bike trails in the vicinity of the Suwannee River since 1989. They also host a large number of bike rides in the area throughout the year. 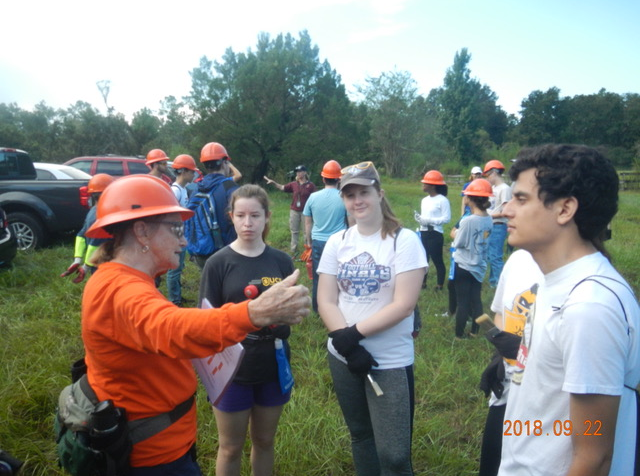 In 2014 when the Florida Trail and the Bridge-to-Bridge Trail in downtown White Springs merged, our two organizations began working together to maintain a multiple use hike/bike trail, and it remains a fantastic trail and partnership. 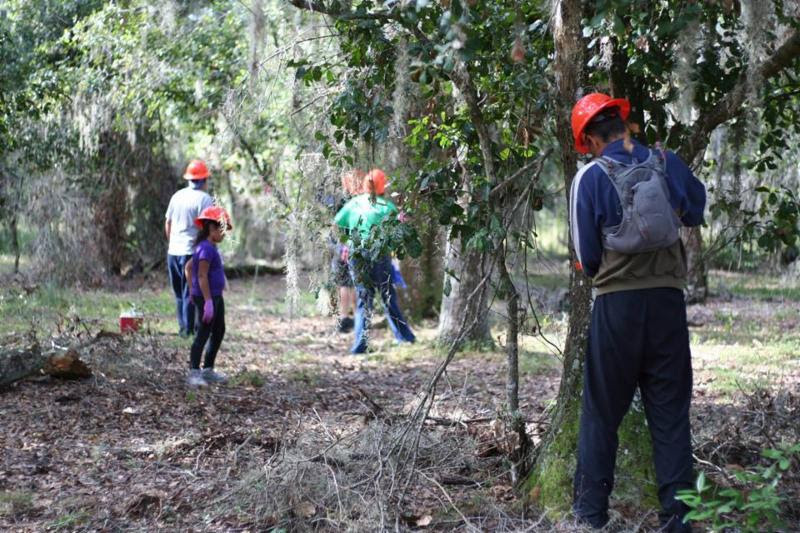 Recently the SBA made a very generous donation to the FTA to help acquire a permanent trail easement along the Withlacoochee River in Hamilton County. There will be more information about this incredible project coming soon, but we want to thank the SBA for their support and commitment to public access to recreation! 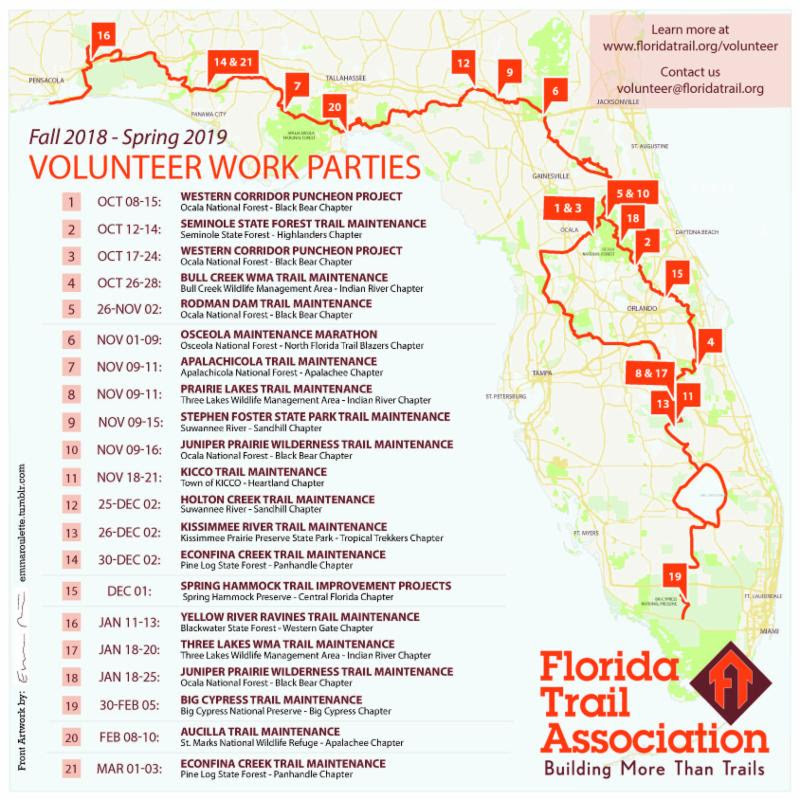 This future trail segment will do more for regional trail connectivity than any project in the North Florida region in recent memory. The call for nominations is now open for FTA’s 2019 Board of Directors, and we are seeking candidates for at-large Board Member positions. FTA has a 15-member Board. Nominations may be submitted for President, Vice-President Membership, Vice-President Trails, and three at-large board members. Terms for officers is two years, and at-large positions is three years, beginning after the annual meeting on April 6, 2019. The Nominating Committee will select the slate based on nominations received. A slate of officers and at-large Board members for 2019 will be voted upon via electronic voting beginning sometime early 2019. In addition to this, we will include a mail-in voting options in the Winter Footprint. The elections will be announced at the April 2019 Annual Meeting. 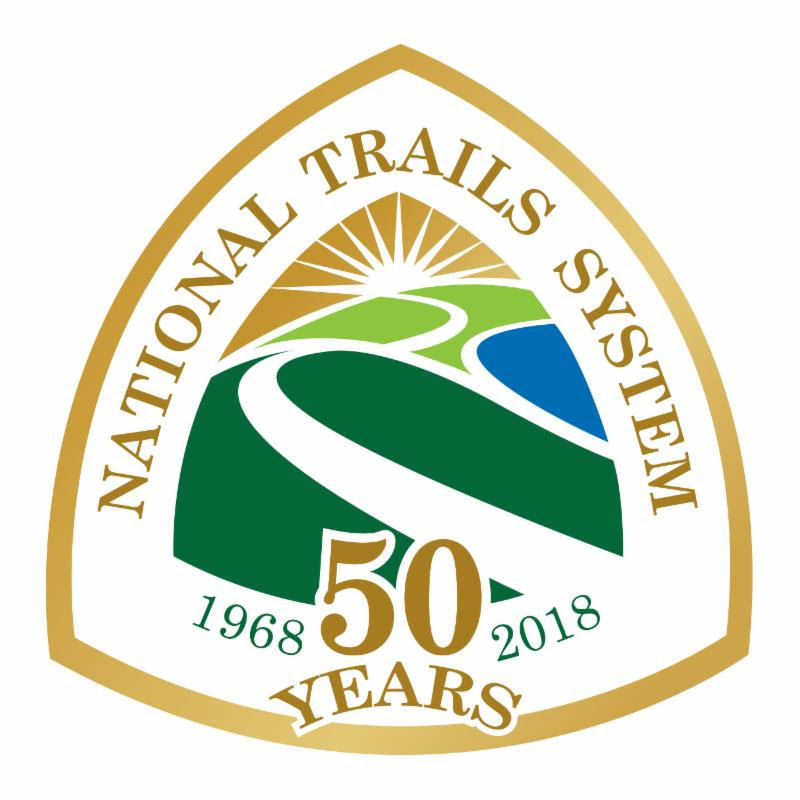 challenges, provide creative solutions, contribute to a fast-growing trail program, and affect long-term positive change. Board service also offers you the opportunity to grow personally and professionally, to develop valuable skills in non-profit governance, gain unique experience and make lasting connections with a team of other passionate and motivated professionals. 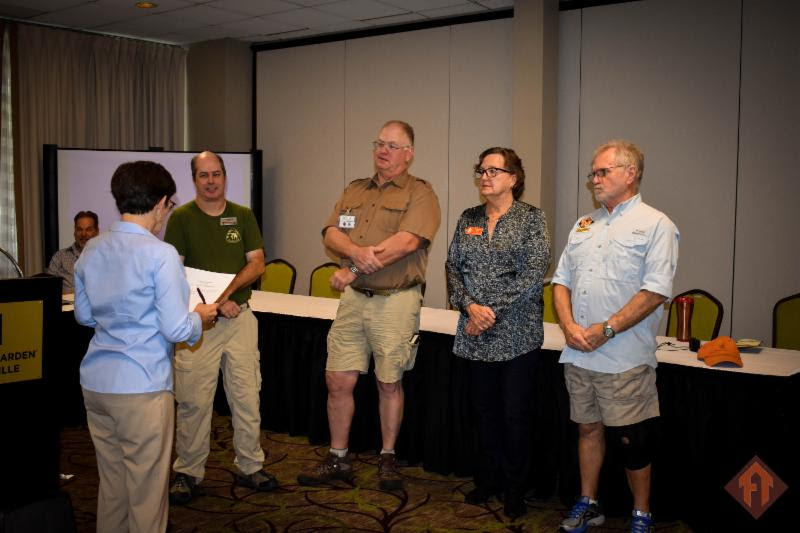 Please consider serving on the Board and submitting a nomination for the 2019 Florida Trail Association Board of Directors. 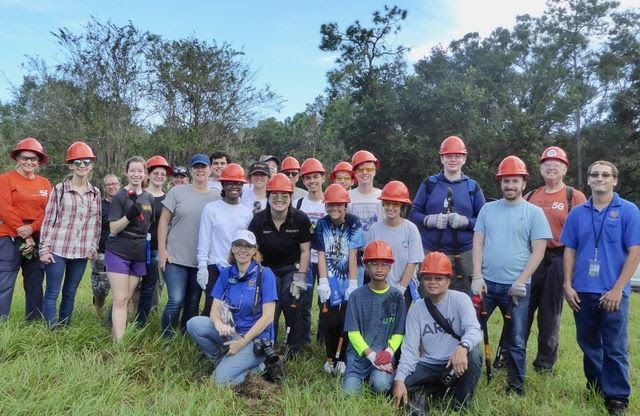 For more information on our current Board of Directors, and Board Member Responsibilities, click here: https://www.floridatrail.org/about-us/ourboard/. Please send your nominations to Megan Eidel at meganedonoghue@gmail.com.